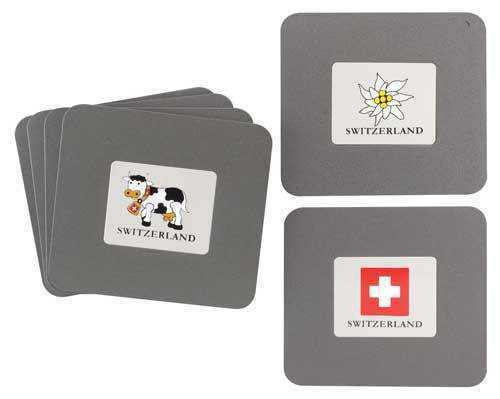 Set of 6 coasters - 2 each of a Swiss Cross, Edelweiss, Cow on a metal insert. Heavy acrylic with padded back. 4 x 4 inch. Service Area: New Glarus, Madison, Sun Prairie, Loves Park, Stoughton, Whitewater, Monroe, Platteville, Waunakee, Verona, De Forest and surrounding communities.